Early detection of ocular conditions/diseases such as macular degeneration, glaucoma and cataracts. Did you know that diseases from any other location of your body can affect the eyes? Diabetes, hypertension and high cholesterol are a few health conditions that may impact the ocular system. The electronic devices we depend on for our work and enjoy for entertainment can negatively impact our vision. Adults and children often spend hours each day in front of a computer screen which can cause eye fatigue, headaches and blurred vision. “Blue” light that is emitted from the screens can cause damage to retinal cells and potentially make sleeping at night difficult. Schedule an appointment today so that we can help alleviate these symptoms. One of the most important reasons for visiting us is to better understand how your vision and eye health impact your lifestyle. We’ll provide you with vision correction options and eye health recommendations. We pride ourselves in spending enough time with our patients so that they are well educated about the findings of the exam and recommended treatment options. Protecting Your Sight - Early Detection & Prevention! 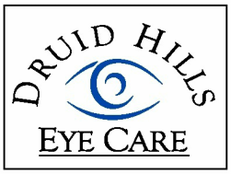 Annual eye exams allow your eye doctor to discover eye conditions before they have a long term effect on your vision. Cataracts, glaucoma and macular degeneration may go undiagnosed until revealed through an annual eye exam.